The Law Office of Samuel E. Thomas serves clients in Athens, Gainesville, Atlanta, Watkinsville, Monroe, Winder, Jefferson, Greensboro, Commerce, Madison, Eatonton, Lexington, Elberton, Carnesville, Royston, Hartwell, Danielsville, Clarke County, Oconee County, Walton County, Gwinnett County, Oglethorpe County, Morgan County, Putnam County, Greene County, Madison County, Franklin County, Hart County, Elbert County, Hall County, Barrow County, Jackson County, Athens Metro Area and Lake Oconee, Georgia. If you are contemplating a divorce, trust Athens GA Divorce Lawyer Samuel E. Thomas. Experienced in Georgia family law and divorce law, Samuel Thomas will competently, confidentially and compassionately assist you with issues involving divorce, children, spousal maintenance, property and debt division and more. Choosing the right Athens GA divorce lawyer for your case is essential. Samuel Thomas is a dedicated and experienced Athens Georgia divorce lawyer who will represent you properly, and understands that your most important personal interests are going to be influenced either through negotiation or in the courtroom. Read more about our services, then contact Athens GA Divorce Lawyer Samuel Thomas today. Your consultation will be kept confidential, with the goal of a quick and amicable agreement that minimizes your hardship and stays within a reasonable time frame and budget. Contact the Athens GA Divorce Lawyer today at 706-546-0999! Facing a Divorce? Need Guidance? Dealing with a Child Custody Dispute? You need skilled representation. In every Georgia child custody case, the best interests of the children are always the primary concern. Both parents have the right to maintain a meaningful relationship with their children, however, and any custody agreement should take those rights into consideration. It is important to have an experienced Athens GA child custody attorney with the ability to ensure that your rights are protected. Child custody cases can be extremely emotional and have the potential to become quite contentious. At the Law Office of Samuel E. Thomas, we represent mothers and fathers in a variety of complex child custody matters. We understand how upsetting it can be to feel as though you are in a fight for a relationship with your children. 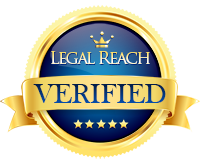 We stay focused on your rights and do everything we can to reach a positive resolution in your case. Contact the Athens GA Child Custody Attorney today for a no obligation consultation and know that your case is in compassionate skilled hands!